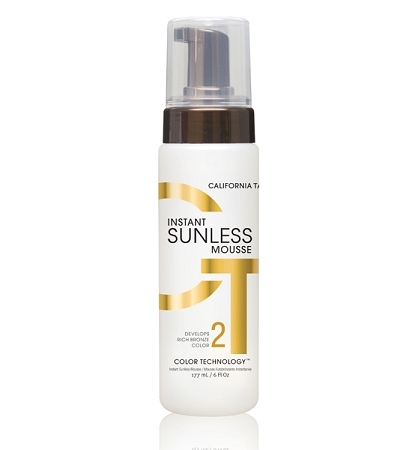 The instant sunless mousse is a quick-penetrating, fast-drying foam that glides over your skin for an easy and flawless application. It’s scientifically formulated to provide a rich, long lasting bronze color in as little as 1 hour. It is paraben and alcohol free to keep skin smooth and silky. Aloe Vera is infused to achieve moisturization of the skin and odor are stopped before they can start with our new breakthrough fragrance technology, leaving your skin smelling sunny and fresh.